DC Comics fans knew that Jay Garrick would be returning to the New 52 Universe that had forgotten him, and that day has finally arrived. The surprise was lessened with Jay Garrick on the cover of Flash #22, concealed in shadow, but Joshua Williamson made sure that the reunion of the first and second DC hero to hold the 'Flash' name was worth more than just nostalgia. Jay's return may start out along the same path followed by Wally West in his own return to DC's New 52 Universe as part of the "Rebirth" initiative, but things so sideways... fast. The long-awaited return comes after DC did away with their younger, alternate take on Jay Garrick from the Earth-2 series, as part of the larger "Button" mystery focused on Doctor Manhattan and Reverse-Flash. It appears that Jay's discovery of Barry Allen may only be the first step on his way to becoming a DC Universe hero in his original form, but after years of seeing him largely forgotten, fans will be thrilled to know that he's headed back to continuity at all. Whether he'll be opening a door for even more of DC's pre-New 52 history to return... well, only time will tell. It was easy to be overshadowed, considering that Flash #22 also seemed to confirm Eobard Thawne's death at Manhattan's hand, along with the role played by the Watchmen star in the larger mystery of DC's "Rebirth." But as Thawne was breathing his final breaths, and uttering his final threat, Barry Allen and Bruce Wayne were being contacted by a DC speedster lost to the Speed Force. Following on the heels of Bruce meeting his Flashpoint father meant Barry was less than thrilled to entertain the notion of even more parallel worlds or possibilities... but when the mysterious figure clawing at the edges of your mind is actually calling your name, it's harder to ignore. The reader gets a sense of what's happening before the heroes do, with dialogue boxes marked with the Flash's signature lightning bolts, and observing that Barry Allen has established himself as something of a doorway. Wally West broke through the Speed Force to get his attention, and when he remembered the sidekick he had forgotten in the New 52's manipulation of reality, Wally returned safe and sound. The mysterious speedster cries out for Barry's attention, seeking the same release. He even gives the speedster a hint to help pull him into physical form once more. He tells Barry to remember his name: "Jay." 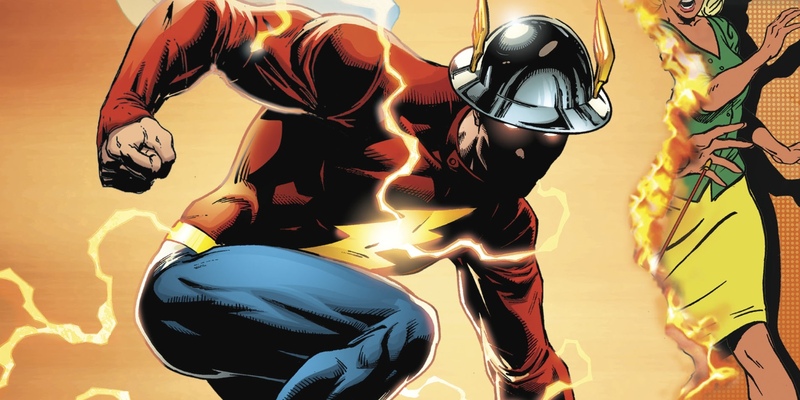 No sooner had Barry repeated the name than Jay Garrick - lightning bolt sweater, WWI-era winged hat and all - burst from the surrounding Speed Force in a bolt of blue lightning - and with only moments to spare. With Barry and Bruce's cosmic treadmill breaking into pieces, they have no way of breaking out of the raw timestream and back to their own time and place. Jay does his best, grabbing hold of each hero and using up the latent Speed Force he's charged with to push them to safety. 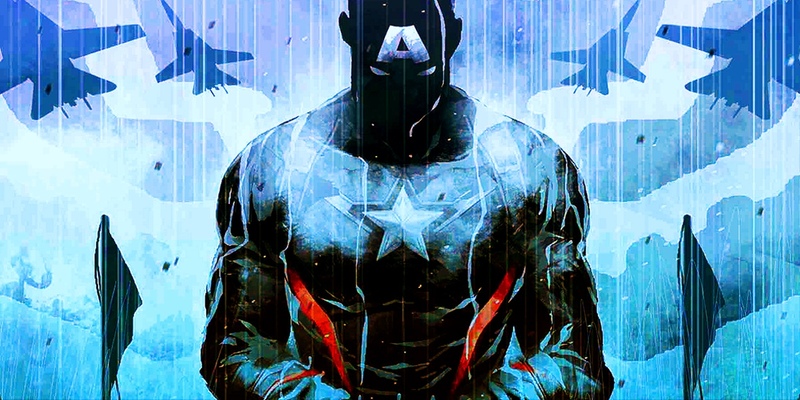 His first heroic endeavor back in physical form is a success, as he manages to tear the three of them back into the reality of DC's current universe. Knowing he's on borrowed time, likely to be claimed by the Speed Force once more unless he's able to find his anchor in reality (just as Wally struggled to find back in DC Universe: Rebirth), Jay gives Barry the facts. He was a Flash, and a friend of Barry Allen's. Like Wally before him Jay knows that someone removed him and so many other heroes, but doesn't understand how or why. The most important thing now is for Barry to remember... there's just one problem. Barry doesn't know Jay's name. But he grabs his arm as he did for Wally all the same, with... troubling results. 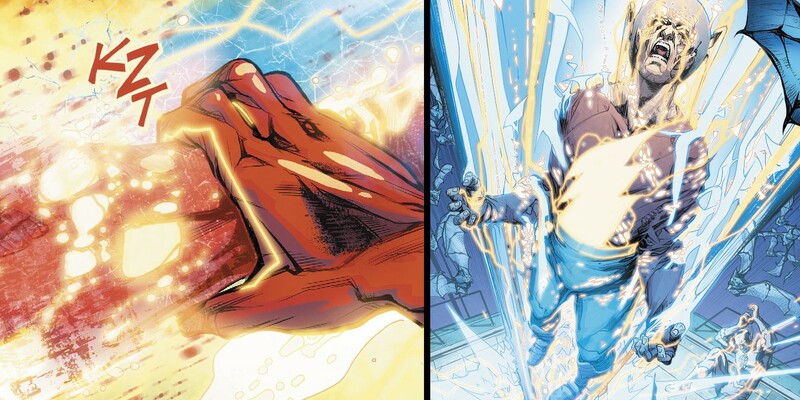 Fans may take one look at these panels and assume the worst - and it wouldn't be the first time that Barry Allen has brought death to a speedster with only his touch. But there's something far more complicated going on this time around. There's likely some significance to the fact that Jay is torn out of the DC Universe in a burst of blue lightning, since the color has come to signify the presence of Doctor Manhattan. In this same issue, Eobard Thawne was murdered in a blast of the same colored energy. But if this really were the death of Jay Garrick being shown, it would certainly be more conclusive. The most likely explanation, as offered by Bruce, could be that he was simply an aberration of the same reality-warping and manipulation that kept his father's Flashpoint timeline intact even when it shouldn't have been. In other words... Jay, and all the other pre-New 52 superheroes he fought beside may have truly been written out of existence. But Barry is quick to offer another explanation that is just as simple: Jay Garrick is fighting his way back into reality... Barry just wasn't the "lightning rod" he needed to pull him through once and for all. It makes sense, since Wally West tried to come back to reality with help from Bruce, his former wife Linda, and even Johnny Thunder before he made contact with Barry. So by observing one speedster's escape, Jay may have uncovered the how of it, but not yet discovered the strongest connection he has to the world that now exists. Whether he'll find that figure, who they could be, and most importantly, whether this marks the return of DC's Justice Society are all up for speculation and debate. We may not have our answers for some time, but this issue - and Jay's classic appearance - confirm it's coming soon. Here's hoping, at least. It's always possible Doctor Manhattan could grow desperate and force the most hopeful heroes to suffer for it.